It’s more costly – we don’t pay the county for recycling but pay for garbage. And we’re trying to encourage people to throw papers in recycling cans- instead of throwing them in garbage. Subject: Re: OOPS...ERROR IN SANTATION CALENDAR.....MY GUEST ON WVOX RADIO FRIDAY MARK OSBORNE, DIRECTOR OF THE LITTLE PRINCE--HE RESIDES IN OUR TOWN! I've always wondered why on holiday weeks unincorporated Greenburgh gets garbage collection only one day, but has trucks come by three times in that week for two days of recyclables and one of actual garbage? Why can't we get garbage pick up instead of paper or co-mingled? Especially, on Thanksgiving and Christmas time! This is Victor Carosi, Commissioner of Public Works with an important announcement regarding the Sanitation calendar you recently received in the mail. The Martin Luther King holiday is in error on the calendar. It is observed this coming Monday, January 16 and Town offices will be closed. Please note Monday garbage will be collected on Tuesday and Tuesday garbage will be collected Wednesday. Thursday the 19th will be Paper Recycling and Friday will be co-mingled collection. A normal schedule will be followed the week of January 23 and your co-mingled recyclables will be collected on Wednesday January 25. A corrected calendar is posted on the Town website. Sorry for any inconvenience. And, please remember that when snow is anticipated do not leave parked cars in the street. This will greatly help with our snow plowing work. One of the reasons why I love being Town Supervisor is because I get the chance to interact with some amazing local residents who live in unincorporated Greenburgh and in our villages. 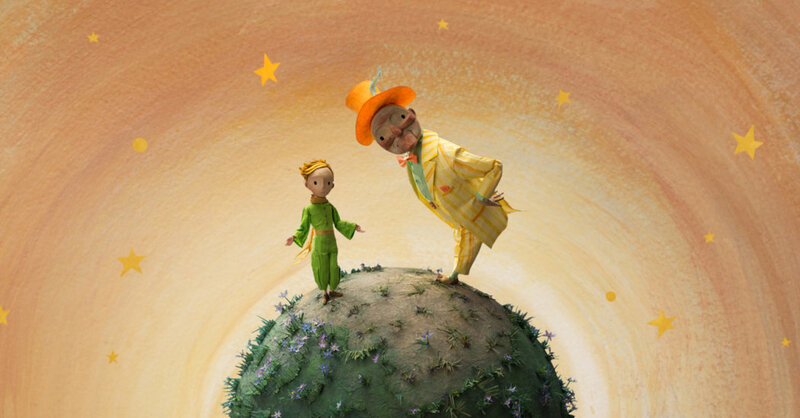 One local resident who is recognized around the world for his creative talent is Mark Osborne, director of the film the Little Prince, which received world wide acclaim. Mr. Osborne will be my guest on my weekly radio program tomorrow Friday - January 13 from 10 AM to 11 AM on WVOX radio (1460 AM or www.wvox.com--the program is also streamed live). Osborne has received two Academy Award nominations, including one for Best Animated Feature of the year for the 2008 critically acclaimed Kung Fu Panda which he directed alongside John Stevenson. Kung Fu Panda has netted more than $630 million worldwide to-date. The action-comedy was Osborne's first major studio project. It also won him and Stevenson the Annie Award for Directing in an Animated Feature Production. Osborne's other most well-known work to date, award winning stop motion animated short, More, has been screened at over 150 film festivals worldwide. It was the first IMAX animation film to ever be nominated for an Academy Award (1999). More garnered an Oscarnomination for Best Animated Short, Special Jury Prize for Short Films at the Sundance Film Festival (1999), The SXSW Best Animated Short (1999), the ResFest Grand Prize (1999), the Critics Week selection for CANNES (1999), among many others. Osborne has also directed a majority of the live-action material for the popular animated TV series SpongeBob SquarePants featuring Patchy the Pirate, as well as all of the live action sequences for The SpongeBob SquarePants Movie, featuring David Hasselhoff. A combination of computer-generated animation, paper cutouts and stop-motion effects gave dimension to the story.